Colourful, bustling street-markets are very much a part of everyday life here in Andalucía, for both locals and tourists alike. Every day of the week there is an open-air market in one or other of the pretty white villages or towns in the area. 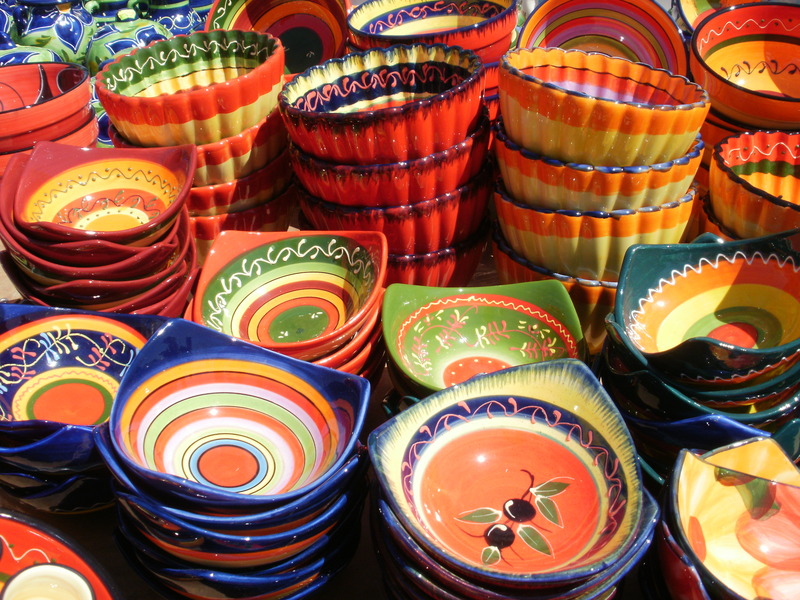 Items for sale include brightly painted pottery, locally grown fruit and sometimes irregularly-shaped vegetables, spices, olives and nuts, as well as clothing, handbags, shoes and jewellery. Often the slowly shuffling crowd will come to a complete standstill, as a new baby (much to the delight of his young mother) is fussed over and kissed by a multitude of Spanish women, amid cries of “guapo” (which means that the baby is gorgeous! ), totally oblivious to all around them. When waiting to be served at a busy fruit and vegetable stall, with customers standing several deep all around, you just have to stand your ground and shout up when you think it´s your turn, or the little old ladies wearing black will surely push their way in front of you! These photos were taken at the street-market at Caleta de Vélez, but this is a fairly typical scene across the Axarquía. It is wonderful to buy such fresh, locally-grown fruit and vegetables. Beats the supermarkets any day, with good prices too! 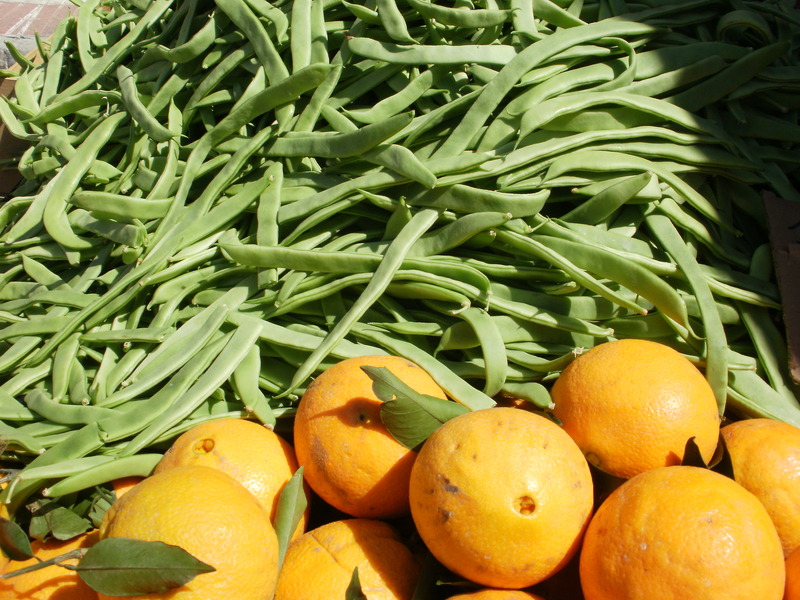 Why not visit a local market today? There’s sure to be one! Where’s your favourite street-market, and why? Do you know of any others in the Axarquía? This entry was tagged Andalucía, East of Malaga, Europe, Food, lifestyle, Malaga, Spain. Bookmark the permalink.